It has been said that the Maltese islands are the 'open air museum of the Mediterranean', offering 7,000 years or more of history to explore with numerous cultural, historical and megalithic sites unique in the world. Set against the backdrop of the island's scenery and its honey-coloured stone buildings, Malta is alluring and fascinating. Located in the heart of the Mediterranean, the island nation of Malta boasts a beautiful coastline with fantastic beaches and a great choice of water sports. Together with a rich history full of archaeological sites and museums to explore no wonder this is a popular visitor destination. For direct flights to Malta from the United Kingdom, try Air Malta. EasyJet and Ryanair both offer direct low cost flights from the UK. Although small in size, Malta’s capital city Valetta has huge appeal boasting the magnificent Grand Harbour, the biggest harbour in the Mediterranean. You can take a cruise around the harbour or simply enjoy a drink at one of the many cafes taking in the pretty views and admiring the amazing super yachts. Take a stroll around the tiny streets of this fortified city soaking up the atmosphere and architectural delights. Head to Fort St Elmo where the Great Siege of Malta took place and plan a visit to the 16th century Grand Master’s Palace, now home to Malta’s Presidential office and Parliament. 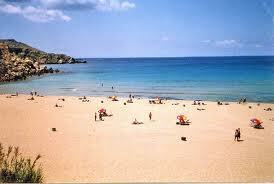 If you’re after a good sandy beach to relax and sunbathe on you’ll be spoilt for choice in Malta. Some of the most beautiful and popular include Golden Bay and Ghadira Bay boasting picturesque views and a great choice of water sports. For a relaxing day out, take a trip to the Azure Window to see the amazing caves or the turquoise waters of the Blue Lagoon where the blockbuster film Troy, was filmed. For some action packed fun why not take the family to Popeye Village, where the film was set and now has an open air museum and fun rides for the children. For the latest offers on lastminute flights and cheap flights to Malta look no further than our flight comparison tool here at Directflights.com. The most competitive prices and cheapest flights are likely to be found out of the peak school holiday season. 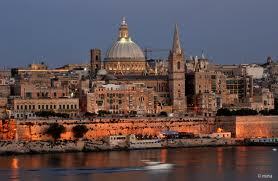 The climate of Malta is Mediterranean with typical hot, dry summers and mild, wet winters. Fog is common between November and March, and most of the limited annual rainfall occurs between October and April. During spring and autumn a hot wind, called the Xlokk, sometimes blows.